The tangy tamarind sauce makes this dish such a wonderful delight! Clean the crab and cut into 4-6 pieces depending on the size. Coat it with Knorr Batter Mix and deep fry until it is crispy and golden brown. 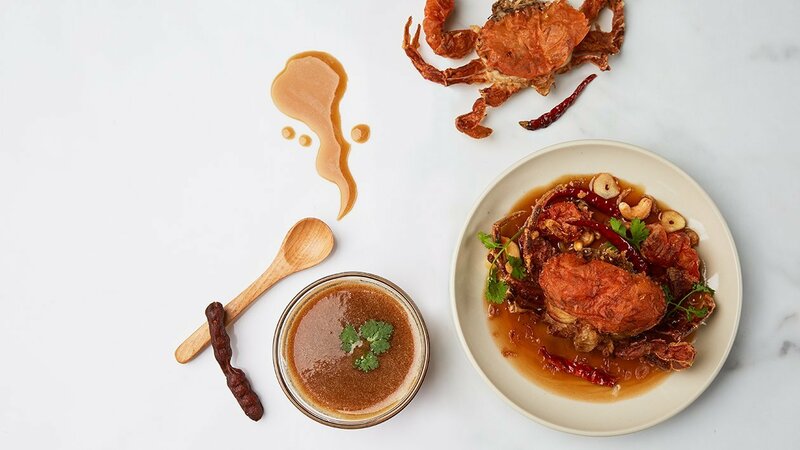 Place the crab on the plate and pour tamarind sauce all over the dish. Sprinkle fried cashew nuts, fried shallots, fried garlic and fried dried chili, and complete with coriander leaves. The dish is ready to be served.